●”Holistic care” – This means considering the whole person, including their spiritual and emotional state, when treating a health problem. ●”Integrative medicine” – This means including alternative treatments as part of mainstream medical practice, based on evidence. ●Acupuncture – People having acupuncture have thin needles inserted into their skin in different places. The needles do not hurt, or they hurt very little. ●Herbal remedies – Herbal remedies are usually pills or liquids that contain substances found in plants. 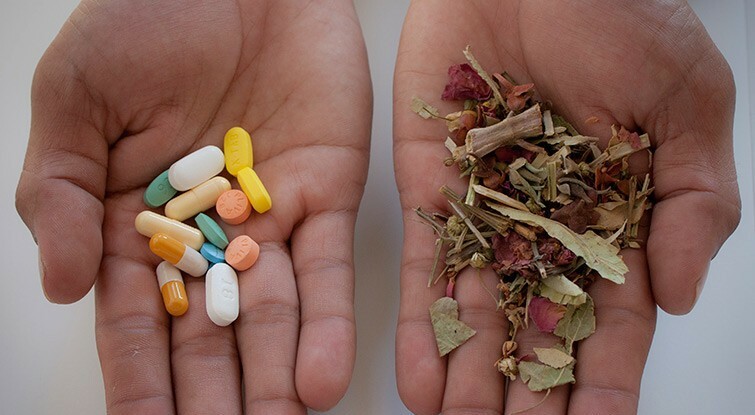 Even though herbal remedies are “natural,” they are not always safe. Plants sometimes have chemicals that can hurt the body. ●Homeopathy – People who use homeopathy take small amounts of substances that would make them sick if they took them in large amounts. ●Mind-body techniques – Examples of mind-body techniques include hypnosis and guided imagery. These techniques are supposed to calm you and help you change the way you think about your symptoms. ●Massage therapy – During massage therapy the person giving the massage rubs, kneads, and presses on the other person’s body. ●Reiki and other “energy therapies” – People who believe in energy therapies such as Reiki think that energy flows throughout the body. During Reiki treatment, the person giving the treatment “directs” energy toward the person having treatment. ●Special diets – People with cancer and other health problems sometimes hear that their condition could improve if they ate a special diet. These diets might contain no meat, or require people to take special supplements. Is it safe to try alternative medicine? — Many forms of alternative and holistic care are safe. And some can be helpful. But it’s important to be cautious, especially if you are trying supplements or herbal treatments. In some countries, including the United States, these products are not regulated by the government the way standard medicines are. In some cases they contain ingredients that can cause harm. They can also be expensive. Be careful about any product that claims to be a “miracle pill,” or says it cures cancer or another serious disease. If you use or are thinking about using alternative medicine, be sure to talk with your doctor or nurse. He or she can tell you if there are any risks involved with the alternative medicine you have in mind. ●Some herbal medicines, such as the herbal antidepressant Saint John’s Wort, can interact with prescription medicines and keep them from working. ●Some herbal medicines are toxic and dangerous. For example, kava kava (which people take for anxiety) can damage the liver and might not be safe. ●Some special diets cause people to lose weight very quickly. And that can cause health problems. Plus, special diets can be very expensive even though they might not help people get better. Where can I find reliable information about herbs and supplements? Your doctor or nurse can suggest other resources, too, depending on where you live. This topic retrieved from UpToDate on: Jun 26, 2017.